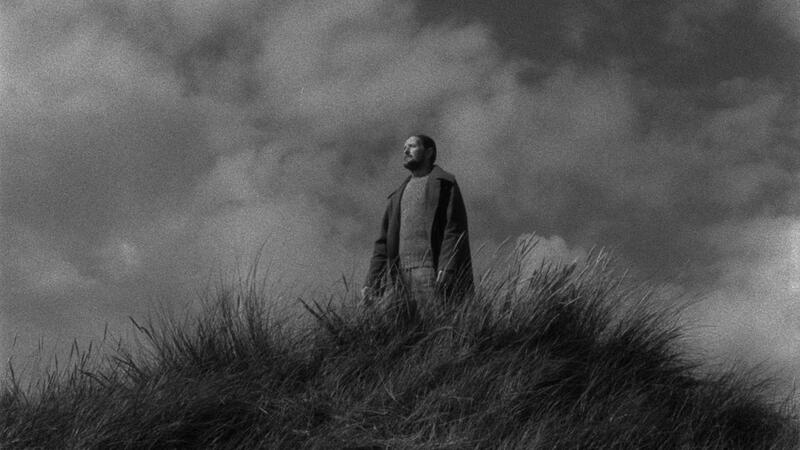 I came to seeing Ordet after previously having seen Carl Theodor Dreyer’s silent masterpieces La Passion de Jeanne d’Arc (1928) and Vampyr (1932). Whilst Ordet, made more than twenty years after these previous films, continues the line of religious inquiry in La Passion de Jeanne d’Arc, it does so with a much more muted tone. This is both one of the most exasperating, unique, and brilliant things about this film. 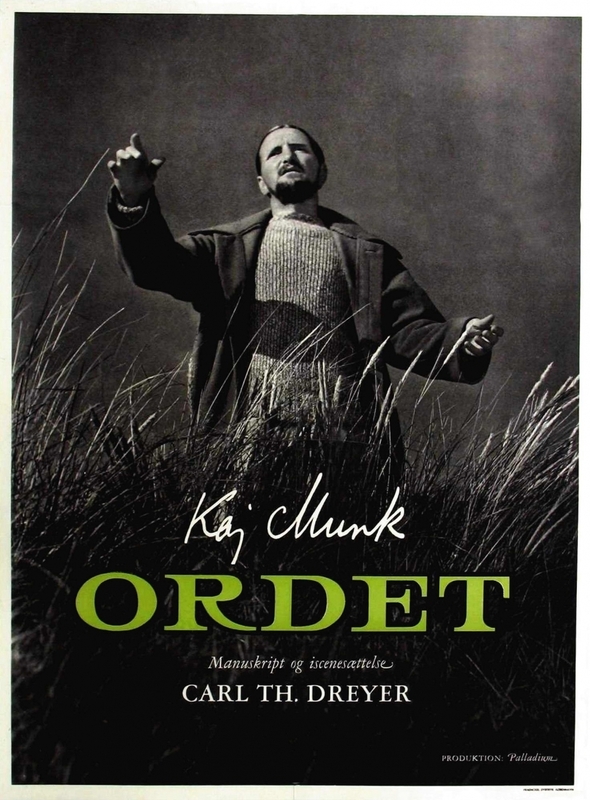 To watch Ordet as a modern viewer would be a mistake. It’s pacing, action, and tone is heavily subdued; as such, modern viewers could be forgiven in disliking it for those reasons. Yet with it’s slow pacing (due to the fact that the film has as little as 114 shots, many lasting up to 7 minutes) the film finds it’s essential character and essence. This pace allows for a closer examination of the characters and their struggles, both religious and emotional. The film carries an air of sensitivity, which in many ways can be seen as the seeds of future filmmakers such as Werner Herzog or Wim Wenders. The film follows the struggles of the Borgen family, who live and work as farmers in rural Denmark. The family is ruled by patriarch Morten, also a Christian leader of the community, and follows his struggles with his three sons. Anders wishes to marry the daughter of another Christian leader who refuses on reasons of religion; Mikkel, an atheist, is expecting a child with his pious wife Inger; and the insane Johannes believes he is Jesus Christ returned and wanders the local fields and towns. Each son brings a different religious struggle up to the pious Morten. Religious intolerance in the case of Anders, the demonisation of atheists in the case of Mikkel, and the act of heresy in the case of Johannes. It’s a difficult film to watch in many ways because of the viewer’s own inclinations towards religion. Say you’re an atheist – the religious struggles of the film will make little sense and probably appear idiotic. Say you’re a Christian – the dour tone of the film and the self-imposed suffering of many characters, never mind their intolerance, will appear as religious overkill. To watch the film under your own religious beliefs is futile, as you’ll keep getting wrapped up in your own beliefs. 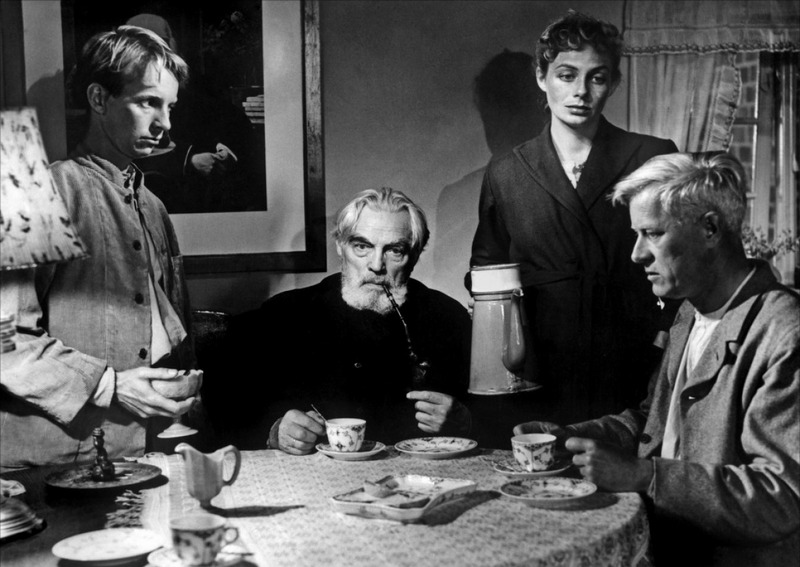 Rather, try and abandon your own beliefs, as I imagine Dreyer intended, and simply witness the tribulations on screen. The film thus shakes the viewer’s own beliefs to the core – they are questioned at every turn. The cinematography goes hand in hand with this tone, and in fact contributes to it hugely. The bare sets, the gray and muddy tones and crisp lighting, as well as the incredibly long takes all add to the religious mania and grief of these characters. It captures something that I don’t think more conventional cinematography could – it captures their despair in the face of their faith. Those who believe in God consistently have their faith questioned and undermined; and those with no faith find themselves needing it but being unable to approach it in their darkest moments. Perhaps the most intriguing elements of the film for me were the questions raised by the ghostly Johannes’ belief that he is Jesus Christ. The seminal moment in which he attempts to resurrect Inger from the dead, and swiftly enters into a blackout once he is confronted with the truth that he is not Jesus, is without a doubt one of the starkest images, and for most of the film perhaps the truest evidence that God has deserted his children. In a universe in which people are so desperately clinging to their fundamental faith and miracles appear to have disappeared, it very much seems like the final nail in the coffin of God. And yet, the finale shows Mikkel and Johannes asking God to resurrect Inger, and the miracle happens. Whilst the ending may put off many viewers due to it’s adherence to the idea of an interventionist God, the moment is one of relief for the main characters. Don’t they deserve that, after we have witnessed their horrendous struggles? The appearance of this miracle is the signalling of a new epoch in many ways – one in which fundamentalist religion is laid aside so two different families can bond. Despite this ending affirming the existence of a God, it’s characters never stop to say “I was right all along” – instead, relief. Relief that perhaps their beliefs, whilst shaken, have not been broken. This is not a film that you can pin down immediately – perhaps that is clear in this review. It’s one that will stay with you, haunt you, and make you question your beliefs. Whilst it can be longwinded at points, and it can progress at a snail’s pace, it’s a deeply satisfying watch. 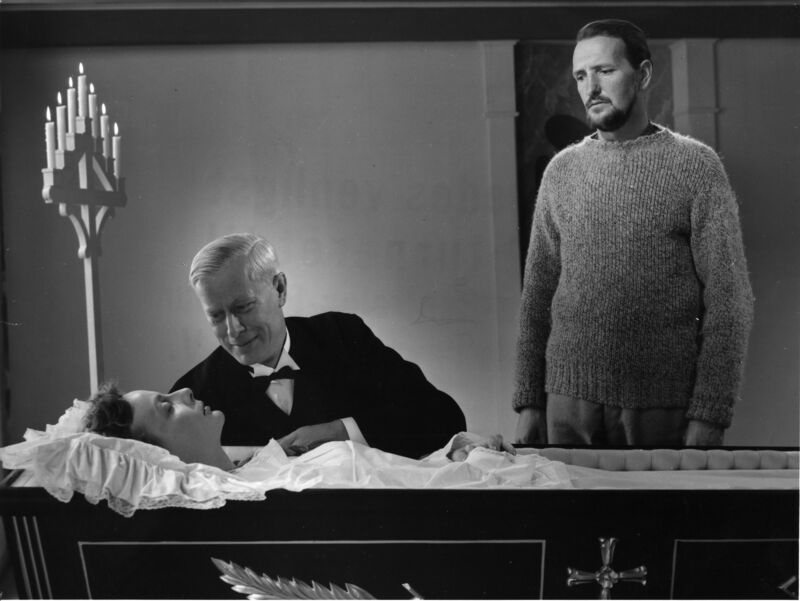 I still don’t know what this film means, or what Dreyer was getting at – but I look forward to revisiting it in the future to reassess these few points I’ve made above. So…..is this Borgen before Borgen ? Does this make the film the first example of Nordic Noir ! ?